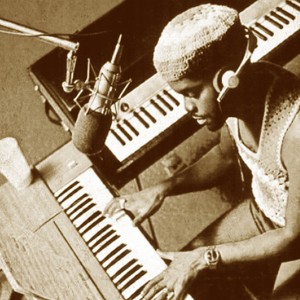 One of the most underrated soul producers of the '70s, multi-talented producer/singer/songwriter/instrumentalist Leroy Hutson began his career in various vocal groups around his hometown of Newark, NJ, in the '60s, but saw his early success as a co-writer for Howard University roommate Donny Hathaway's 1970 hit single "The Ghetto." Hutson would later replace Curtis Mayfield in 1971 as the lead singer in the Impressions and stayed with them until 1973, when he followed in Mayfield's footsteps and launched his own solo career. His smooth, imaginative productions set the bar very high for everyone at the label (including its owner) to follow suit. Although his lyrics were not as politically fueled as Mayfield's, Hutson's love-inspired songs were responsible for a string of mid-'70s classics for which he and Curtom are best known. While he would enjoy the commercial success during a string of albums in the mid- to late '70s, he also lent his production and songwriting skills to several labelmates, including the Natural Four. After the closing of Curtom Records in 1980, Hutson's career diminished into obscurity with the exception of 1982's jazz-funk-tinged Paradise. However, he has maintained a strong cult following among soul collectors to this day, and in 2000 Sequel Records had the good sense to reissue not only the original albums on CD but a two-disc anthology spanning the greatest hits of his career.